This course is aimed at emerging poets and prose writers between the ages of 18 and 35. Whether you’re working on a poetry collection, a novel, a short story collection, a work of non-fiction or experimenting across different genres, you’ll receive invaluable guidance on your creative journey. Under the guidance of professional writers and guest speakers from the publishing and creative industries, we’ll concentrate on your writing processes, including re-drafting and editing. Also integral to the experience will be advice on publishing, performing and publicising your work. The course will provide an encouraging and safe space for a group of young writers to learn from the tutors and from each other. There will also be plenty of down-time for writing, and many additional activities such as socialising, walking, and even swimming in the sea. This course is run in partnership with Parthian Books, Wales Arts Review and Poetry Wales. Alys Conran is the author of Pigeon (Parthian Books, 2016), the first novel to be published simultaneously in English and Welsh. 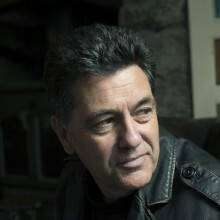 Pigeon was shortlisted for the International Dylan Thomas Prize and won the Wales Book of the Year Award 2017, the Rhys Davies Fiction Prize and the Wales Arts Review People's Choice Award. Her second novel Dignity will be published by W&N in 2019. Her short fiction has reached the Bristol Short Story Prize, the Manchester Fiction Prize and the Bath Short Story Award. 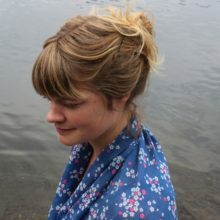 She has read her fiction and poetry at The Hay Festival, the Edinburgh Book Festival, and on BBC Radio 4 and her work is to be found in magazines including Stand and The Manchester Review, and in anthologies by The Bristol Review of Books, Parthian, The Camden Trust and Honno. She also publishes poetry, creative non-fiction, creative essays and literary translations. She is a Creative Writing lecturer at Bangor University.